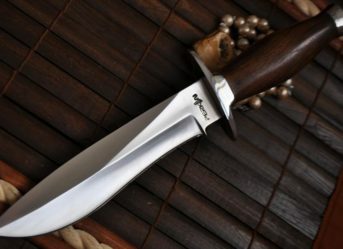 The famous bowie knives from Arkansas are a typical hunting and fighting knife which have been named after Jim Bowie. It is one of the hot favourites for collectors owing to its remarkable history. They also find mention in many prominent literary works like Bram Stoker’s Count Dracula. 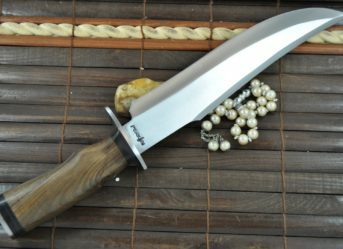 Like other hunting knives, the Bowie knife also has specific features that makes it suitable for the purpose. Over the years, the knife has undergone many modifications and has been used for various purposes. It also finds a mention in the American Civil War chronicles as a D- Guard Bowie Knife. 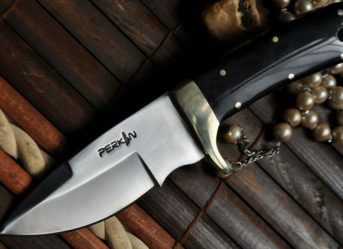 If you are willing to have one for your collection then you may have a look at the bowie knife made by Perkins which is almost similar to the original ones. 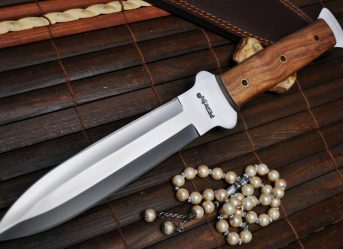 Knives are not just made valuable by the kind of steel used in their production but the material used in their handles also add to the value and uniqueness of the blade. Amongst all the types handles available in the market, one of the most exotic type is the deer antler handle that is used in many knives. A deer antler knife is a prized possession owing to the rarity of the handle itself. These handles are not just rare but make the knife pretty expensive. The Bowie knife which Perkins has to offer is a 12 inch hunting knife with a 5 inch of American deer antler handle. It also comes with a handmade leather sheath for the use. 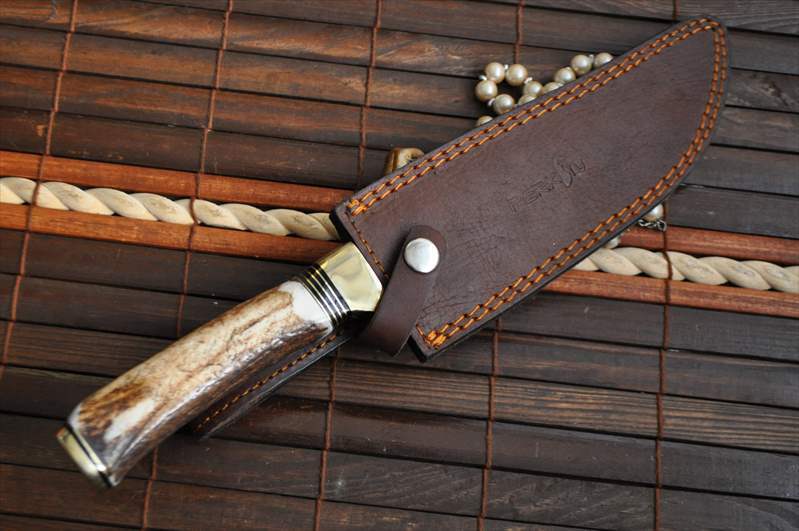 WHY SHOULD YOU BUY DEER ANTLER KNIFE ? 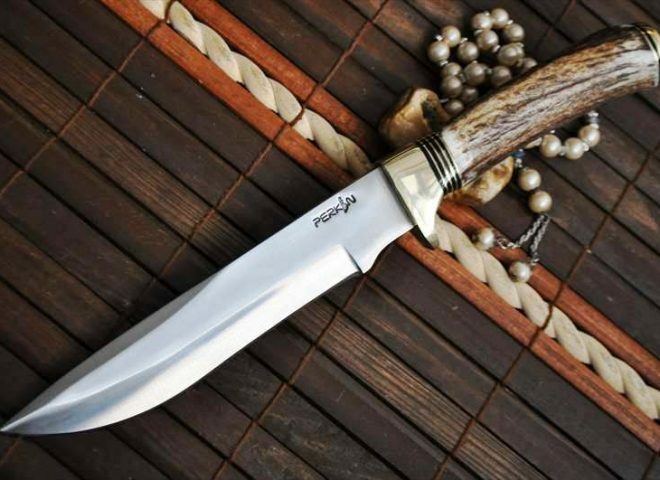 Deer antler knives are rare to find owing to the obvious reason of the scarce availability of the main ingredient that is used in making of the handle. If you have any knowledge of knives, you will know these are the ones carrying some of the biggest price tag. As a collector, this kind of a knife can be the highlight of your antique knives collection. 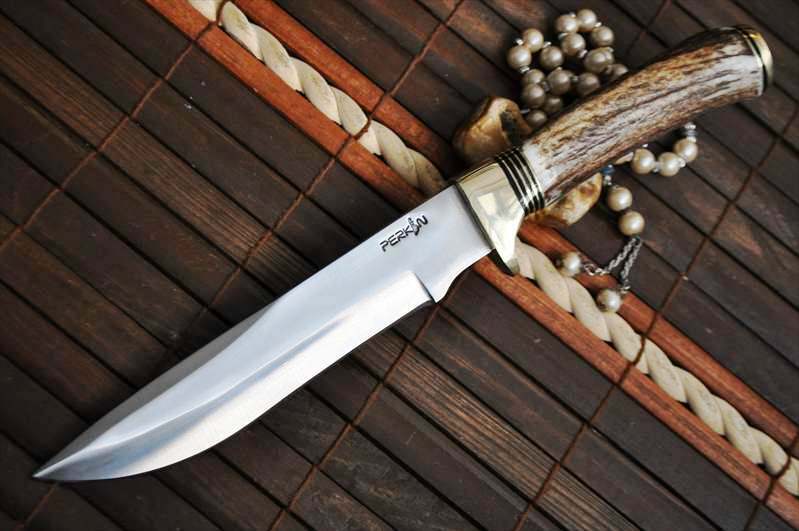 Most of the times a deer antler is paired with an equally iconic steel blade to accentuate the value of the knife just like the Bowie knife handcrafted by Perkins. It has an American deer antler handle of 5 inch with a 7 inch 440C steel blade. Not only this, it comes with a leather sheath which is also handmade.